Gorgeous Home on 1 Acre For Sale in Avalon Subdivision Daphne Alabama! Large Gorgeous Home on 1 Acre For Sale in Daphne Alabama! 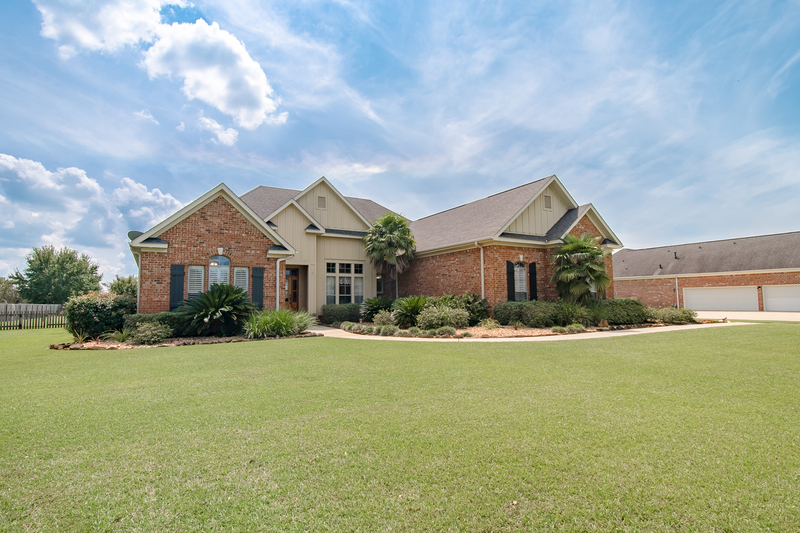 You don’t want to miss out on this 3300+ Square Foot Gorgeous Home on 1 Acre For Sale in Avalon Subdivision Daphne Alabama! Looking for a HUGE 1 acre lot in Daphne? Look no further than 11370 County Rd 54: this home has the largest lot in Avalon subdivision. The sellers knew this home was meant for them because they were looking for a large home that was centrally located for friends and family to come and visit on their way to the beach and shopping. When they were looking they did ask about the school district because even though they did not have school aged children they wanted to know more for resale value. Being home owners before they knew this made a big difference in terms of whether someone wants to buy your home or not. Seller said that the schools were ranked best in the state from what they knew. Some of their favorite features of the home are the open floor plan, lots of closet space and storage cabinets. The floor plan is split bedroom plan which was good when guests would visit so they could have their own space. Most of the time the sellers find themselves in the living area entertaining or even on the back porch overlooking the gorgeous back yard. You can tell when you see this home that the sellers take a lot of pride in their yard. It is magnificently landscaped. Oh and don’t let me forget the sprinkler system is on a well so you won’t have to worry about the high water bills in order to keep the yard looking amazing! Over the years they added the sprinkler system, replaced the downstairs AC unit, added a new dishwasher, cooktop, kitchen sink and garbage disposal. They also recently repainted the home and carpeted the upstairs. If you are looking for things to do, there is so much nearby… from the bay to the local beaches or going shopping up at the Eastern Shore Center. For these sellers, the husband loves to bowl so they spend a lot of time at the bowling alley in Spanish Fort right north of here. The sellers are very pleased with how energy efficient the home is. Right now their power bills on average are only $175 per month which for this size home is pretty good. They are getting older and just don’t need this massive 2 story home and they are looking to retire at this point in their life. They are excited about the next chapter in their life and cannot wait for the next family to create memories in this home. Come tour this Gorgeous Home on 1 Acre For Sale in Avalon Subdivision Daphne Alabama with the Jason Will Real Estate Team 251-866-6464!